I’m participating in two wonderful Highlander-themed giveaways this week. 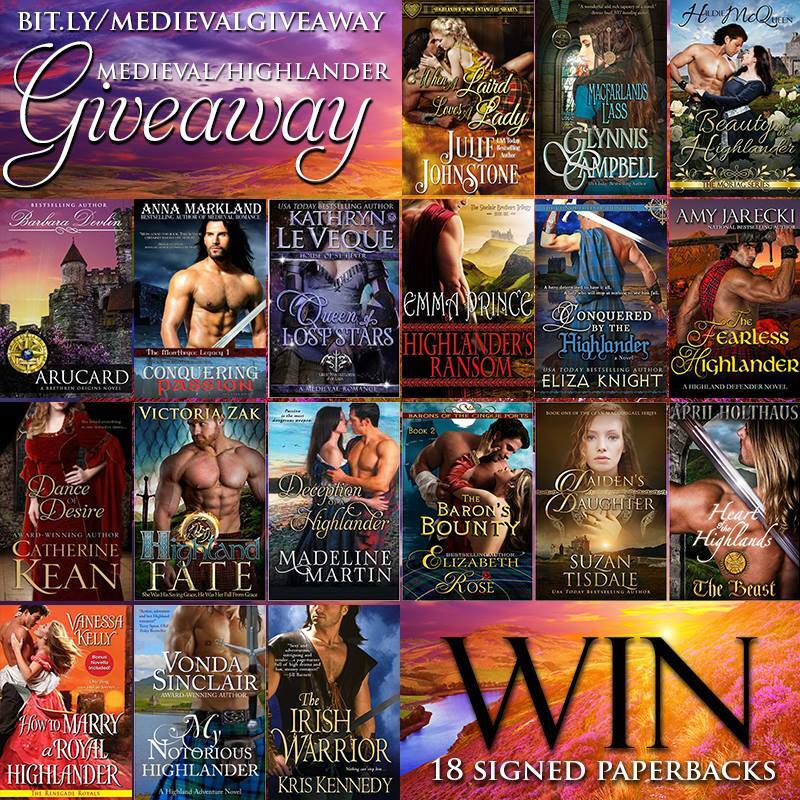 The first features a prize of 18 signed paperbacks featuring some of your favorite Medieval and Highlander historical romance authors. HOW TO MARRY A ROYAL HIGHLANDER, Renegade Royals book 4, is included in this fabulous contest. For details and to enter, simply click here. For you digital readers, the second contest features a whole slew of Highlander romances in digital format. Again, you could win a copy of HOW TO MARRY A ROYAL HIGHLANDER, along with all these other fabulous books. This contest is sponsored by the lovely Madeline Martin, and you can enter on her facebook page. My Fair Princess ARC Giveaway!